A few years ago I got the canning bug something bad so I was trying all kinds of new recipes. 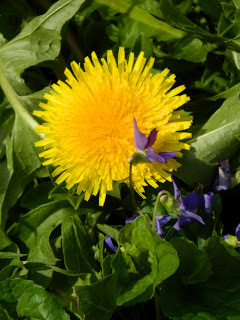 I remembered hearing about dandelion jelly, so I scouted out a few recipes. I remember my Granny making jellies. Mainly apple jelly and grape jelly are the ones I remember most. I wouldn’t think that my Granny would pass up making dandelion jelly since they are free and in most every ones yards every spring. So I talked myself into trying to make jelly. I personally welcome this time of the year when they start popping up, because all I can see is the yummy goodness that will fill my jars and the smiles it puts on my children’s faces.